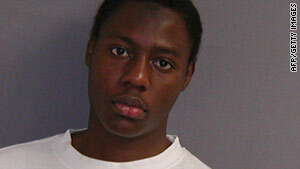 The State Department admitted bombing suspect Umar Farouk AbdulMutallab had a multiple entry U.S. visa. 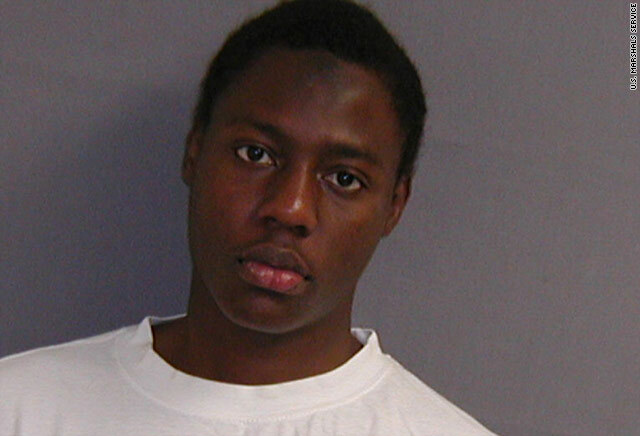 Washington (CNN) -- It is one of several unconnected dots -- the State Department failed to determine that Christmas bombing suspect Umar Farouk AbdulMutallab had a U.S. visa until after he nearly set off explosives on a U.S.-bound airplane. State Department officials told CNN on Thursday that a series of errors caused AbdulMutallab to avoid classification as a terrorist, which would have have placed him on a no-fly list and caused his multiple entry visa to be revoked. One of those errors was the inability of the State Department -- which issues visas -- to initially determine whether AbdulMutallab had one. It is unclear whether earlier awareness of the visa in itself would have helped keep AbdulMutallab off the Northwest Airlines flight from Amsterdam, Netherlands, to Detroit, Michigan. Now the 23-year-old Nigerian faces charges including attempted murder of the other 289 people aboard the flight after allegedly failing detonate the explosives in his underwear. President Obama characterized the near-miss as an intelligence failure, particularly after AbdulMutallab's father met with U.S. Embassy officials in Nigeria on November 19 to warn that his son was consorting with Islamic extremists and might have gone to Yemen. Despite that warning, Obama said, U.S. officials failed to "connect the dots" to prevent AbdulMutallab from boarding the flight. A timeline provided by the State Department officials, who spoke on condition of anonymity, showed that an initial check of the suspect based on his father's information failed to disclose he had a multiple-entry U.S. visa. The reason was that AbdulMutallab's name was misspelled. "That search did not come back positive," said one official, who called it a quick search without using multiple variants of spelling. On November 20, a State Department cable to Washington on AbdulMutallab -- based on the information from his father -- lacked any mention of his visa, the officials said. The spelling mistake was corrected two days later, and the State Department notified the National Counterterrorism Center of the correct spelling, the officials said. However, the State Department remained unaware that AbdulMutallab had the multiple-entry visa until after he allegedly tried to blow up the airplane more than a month later, the officials said. Under new procedures announced by the government, the State Department will include visa information in all cables involving possible terrorist alerts. The State Department officials maintained that the failure to discover the visa, by itself, would not have prevented AbdulMutallab from boarding the plane on December 25. His name, they said, never made it to a no-fly list, nor was he recommended for losing his visa because the NCTC classified him as "P3B," which stands for a "possible" terrorist. Only a "3B" classification as a terrorist can bring the loss of a visa or inclusion on a no-fly list, they said. In the immediate aftermath of the failed attack, State Department officials told CNN that the NCTC ruled the information in the November 20 cable was "insufficient for this inter-agency review process to make a determination that this individual's visa should be revoked." Now it is clear the NCTC was never told by the State Department that AbdulMutallab had a visa. On Thursday, the State Department officials indicated the NCTC could have checked AbdulMutallab's visa status when informed of the proper spelling of his name in November. According to the officials, AbdulMutallab might have been classified by NCTC as a terrorist if the connection had been made to other intelligence regarding an al Qaeda plot to attack the United States involving an unnamed Nigerian. The NCTC never recommended pulling his visa because he was never classified as a terrorist, the officials said. In a report Thursday on the intelligence breakdowns in the case, John Brennan, Obama's adviser on homeland security and counter-terrorism, highlighted the confusion over AbdulMutallab's visa status. "Mr. AbdulMutallab possessed a U.S. visa, but this fact was not correlated with the concerns of Mr. AbdulMutallab's father about Mr. AbdulMutallab's potential radicalization," the report said. "A misspelling of Mr. AbdulMutallab's name initially resulted in the State Department believing he did not have a valid U.S. visa," the report continued. "A determination to revoke his visa, however, would have only occurred if there had been a successful integration of intelligence by the CT (counter-terrorism) community, resulting in his being watch-listed." In response, Sen. Susan Collins of Maine, the ranking Republican on the Senate Homeland Security and Governmental Affairs Committee, said the State Department should immediately suspend the visas of all foreigners on the nation's broadest terrorist database, pending further review. In addition, Collins called for the Department of Homeland Security to expand its monitoring to make sure all foreigners boarding U.S.-bound flights have valid visas. "If the State Department had canceled AbdulMutallab's visa, he would never have been permitted to board his flight in Amsterdam," Collins said in a statement. "These common-sense reforms would help prevent the next terrorist from boarding a flight to our country."